The draft budget law proposed by the Italian government is a declaration of war to the EU. After years and years of walking the wire, balancing between the promise to respect the rules on the deficit on the one hand and getting all the possible flexibility on the other, the Italian government has decided that the EU and its financial rules do not matter. The deficit/GDP ratio is rocketing to 2.4%. And it doesn’t matter what we think of the measures that this huge deficit should help to implement. Because there can be only one serious motivation behind the decision of the government – pull the string as much as possible. First, clashing with the European institutions, making them release regretting and accusatory statements against the choices of the government. Second, fuel the clash, by boosting the rage of “the people” against a supposed-to-be technocracy that works against the interest of the Italians. Third, adopt a hardline campaign against the Commission until the EP elections come, and the League and the 5 Stars Movement can cash in the rage in the ballots. In the meantime, what will happen in the Parliament? What will be the real law eventually adopted? How will the Italian diplomacy avoid the real clash and the intervention of Troika 2.0? 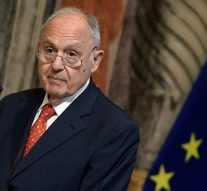 In a darker perspective, the Italian government might be really trying to force the EU to let Italy go out of the eurozone, implementing the well-known plan B of Minister Paolo Savona. For the time being, nobody is certain of what will happen for real. Maybe not even the government nor the EU institutions. What remains in the rant is the certainty that the leverage that Italy might have had in the Future of Europe process, the leverage that seemed lost, is in fact all here. And it is powerful. It is the power to make the process drown and fail. And the EU with it. From funding and pro-European Member State of the EU, Italy turned into its worst enemy. Who will prevail?